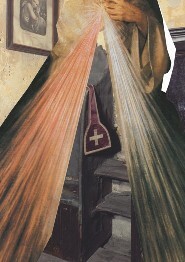 With these words, the Holy Father Pope Benedict XVI addressed confessors during the recent Year for Priests, indicating to each one present the importance and therefore the apostolic urgency of rediscovering the Sacrament of Reconciliation, both from their viewpoint of penitents as well as that of ministers. Along with the daily celebration of the Eucharist, the availability of the priest to hear sacramental confessions, to welcome penitents, and to accompany them spiritually when they so request, is the real measure of a priest’s pastoral charity. By their availability, priests give joyful witness and in a certain sense take upon themselves their true identity, redefi ned in the Sacrament of Holy Orders and not reducible to a mere functionality. The priest is a minister, which is to say that he is at the same time both a servant and a prudent dispenser of Divine Mercy. To him is entrusted the serious responsibility “to forgive or to retain sins” (cf. John 20: 23). Through him, and through the power of the Spirit who is the Lord and Giver of Life, the faithful are able to experience today in the Church the joy of the Prodigal Son, who after a life of sin returned to his father’s house in the manner of a servant but was welcomed with the dignity of a son.